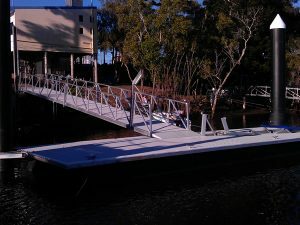 Demolition, design and construction of retractable boat launching pontoon system. The Fishmac loading wharf facility was destroyed during the 2010 floods. Foreshore Marine were contracted to demolish the remaining structure and fabricate a new, state of the art retractable pontoon and boat launching system, specifically designed to withstand floods. 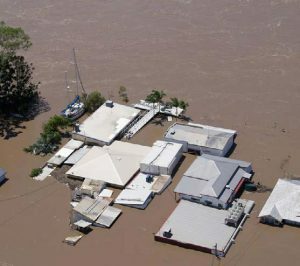 Successful design and construction became evident when the Burnett River reached its record heights in 2013 and this pontoon was the only remaining structure left in the river.